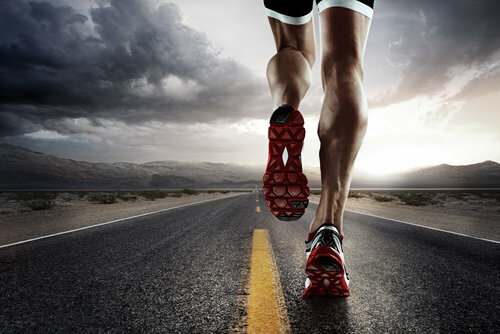 At the Beaver Valley foot clinic we specialize handle sports injuries of the feet, ankles, and lower legs every day. We specialize in diagnosing, treating, and preventing such injuries, and we’re here to help. 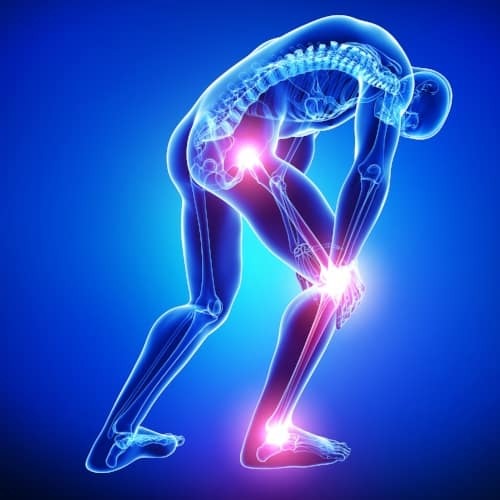 Using state of the art, results oriented techniques our goal is getting you out of pain and back in action as soon as possible. Sports injuries don’t discriminate. Any active person can get one, whether they’re an elite athlete or a mall walker. Regardless of your skill level a sports injury has the potential to permanently effect your performance. That’s one of the main reasons why it’s so important to treat them quickly and effectively. The right preparation is essential. As the saying goes, “failing to train is training to fail.” This applies equally to both amateur runners and seasoned professionals.Marathon training: half vs. full. You’ll notice that the following tips fall into three basic categories. The first is injury prevention. 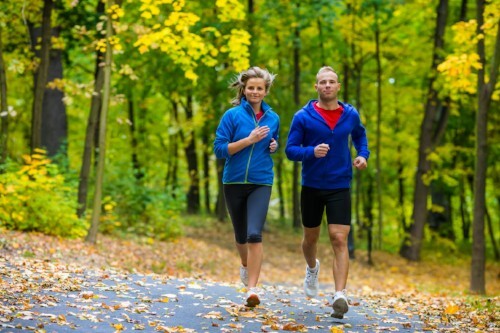 Running injuries are always possible, but there are proven ways to reduce your chances. The second is dealing with injuries if they occur. The third is the actual preparation, both physically, mentally, and nutritionally. Compared to high impact sports like football and basketball many running injuries are preventable. First and foremost, the old, outdated “no pain, no gain” approach should be discarded immediately. While you certainly want to train hard, you also want to listen to your body and avoid overuse injuries. Vary the terrain and type of surface you’re running on. Train on both harder surfaces like pavement and softer ones like grass. Ensure you’re getting a good mix of flat and hilly terrain as well. It may seem obvious to you, but wear high quality running shoes that fit. It’s also a good idea to observe the 500-mile rule. When you’ve put this many miles on your current shoes it’s time for another pair. Vary your workout intensity. Training too hard, too often is a common mistake, especially for newer runners. Schedule “easy days” in your training plan. These are best scheduled in between heavier workouts. It’s important to figure this out before race day. Experiment with different approaches to find out what works best. Once you’ve decided, make sure you include this method in your daily workouts. It’s a factor you have complete control over, so make the most of it! Drink plenty of water before, during, and after your workouts. Proper hydration is absolutely essential, and it’s another factor you have complete control over. If you’re new to distance running, practice drinking during your workouts. Swallowing in gulps while running. This conventional wisdom has proven itself over and over again. It’s also quicker than drinking more slowly. Make sure you’re getting plenty of salt. This is especially important if your sweat is particularly salty. Include salty foods like pretzels, pickles, and canned soups in your daily diet. You can also add additional salt to your electrolyte sports drinks. You’re going to need some type of sugar-based instant energy source if you’re running any serous distance. Specially made sports gels and packets of honey are popular choices. Find the option that works best for you and include it in your workout. If possible, run individual sections of the planned course to get used to each stretch. You don’t want any surprises. Prepare several “focus cues.” Below are some of the most popular, but don’t limit yourself. Use your imagination! Relax your shoulders every time you pass a stop sign, see a bird, etc. Use whatever is appropriate for the course you’re running. Whenever you see a runner throw away a paper cup, use it as a cue to “throw away” any pain you might be feeling. If one area is particularly painful, make an effort to focus on another. Position your supporters. Tell family and friends which areas to appear at. Be sure to spread them out in multiple locations. Popular locations are the top or bottom of a large hill. Visualize yourself giving a strong performance. Bring these images or mental “movie clips” to mind throughout the day. Practice acceptance. You know you’re going to “hit the wall” at some point. Don’t be surprised or disappointed when this happens. Think about it as just another part of the course. Don’t think about the finish line. Think about what you’re doing right now or are likely to encounter in the mile ahead. Let the results take care of themselves. Embrace the challenge. Open your mind to the possibility that you just might have some fun! Do your best, while bearing in mind that your best will vary from day to day. Running presents the body with unique challenges, especially extreme distance running such as marathons. Not surprisingly, many distance running injuries are of the overuse variety. Even so, the majority of these injuries are preventable—if the proper precautions are taken. While training for your event, keep the following advice in mind. Train on different types of surfaces and terrain. Mix up your routine. Don’t run exclusively on hard surfaces such as pavement. Running on softer surfaces such as grass drastically reduces the shock and impact which is an inevitable part of running. It’s also a good idea to train on both flat terrain and hills. 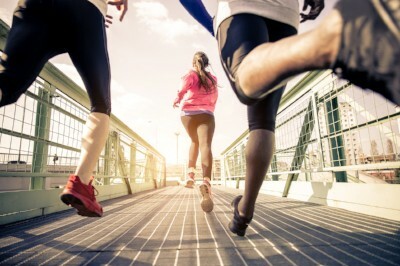 Remember that running, by its very nature, subjects the body to extremely repetitive motions. Anything you can do to vary the stresses placed upon your body will help. High quality running shoes are a must. It’s also essential to follow the “500-mile rule.” This states that even the highest quality running shoes should be replaced every 500 miles. You can still keep your old shoes, just don’t use them for training. While you’ll spend more money this way it’s certainly preferable to an injury. Don’t work out at a single intensity. Much as with terrain, it pays to vary your routine. Don’t be afraid to schedule light workouts, or even take days off. While not training daily might go against your instincts sometimes it’s the best move you can make. On a related note, cross-training is an extremely good strategy for success. Train on an elliptical or swim on certain days. Strength training is also a good idea, and most high-level runners incorporate some form of lifting into their routine. Find a hydration and quick-energy strategy that fits into your routine. Don’t wait until race day to decide on a strategy. Try on different methods and find out which suits you best. Once you’ve figured this out, incorporate it into your daily training. You’ve got complete control over this factor, so take advantage of the fact. Hydration is key. Proper hydration is important in all sports, and for distance running it’s absolutely critical. You’ll have to get used to hydrating while running, which can take some practice. Especially if you’re a new runner training for your first event practice drinking during most workouts. Gulp your water as opposed to sipping it. This greatly reduces the likelihood of cramping. It also makes sure that drinking doesn’t interfere with your running form more than it has to. Ensure that you’re getting enough salt in your diet. All of us, athletes and non-athletes alike, lose salt through sweat. As a distance runner you’ll be sweating a great deal so upping your salt intake is usually advisable. It’s easy: simply include foods such as canned soups, pickles, and other salty foods into your diet. If your sweat is especially salty it may be necessary to take salt supplements during long runs, including your event. You’ll need to use some type of instant energy supplement. These can include energy gels made especially for this purpose, but honey packets are a perfectly good choice. Whatever you choose, make sure to incorporate it into your training routine. Much as with hydration, this isn’t something you’ll want to figure out on race day. Many veteran runners believe that mental toughness as important as physical toughness when running extreme distances. Fortunately, both mental and physical toughness can be improved through training. Observe the following during your workouts. Preview the marathon’s course. If you live nearby, run each section of the planned course. This is yet another method of eliminating surprises. You’ll want to know where hills and other challenging sections are before the actual event. Use “focus triggers.” Some of the most popular are listed below, but the only real limit is your imagination. Whenever you pass another runner, see a bird, or run by a sign use the event as a cue. Use it as a reminder to relax your shoulders or deepen your breathing. If you see another runner discard a cup use this as a cue to “throw away” the pain you’re experiencing. If one area in particular is bothering you, make a mental effort to focus on another. Strategically place your supporters. Have friends and family set up at pre-determined locations where you think you’ll need the most encouragement. Common examples are before large hills or during the final stretches of the race. It’s inevitable that you’re going to “hit the wall” at some point. Accept this is as a fact and picture yourself fighting through successfully. Practice present-moment consciousness. Focus on what you’re doing right now, in the moment. Don’t think about the finish line. Do your best, and the rest will take care of itself. Have realistic expectations. Your best will vary from day to day, so don’t “shut down” if you feel you’ve had a weak start. Also realize that it’s equally likely that you’ll have an extremely good day. If it hurts, stop doing it. It might be time for an easy day or even a day of rest. Also, there’s usually a way to find an equally intense workout. It bears repeating: Don’t’ be afraid to alter your training program and rest yourself if it’s appropriate. Sometimes this is the smartest thing you can do to reach your long term goals. Below are some common signs and symptoms of common distance running injuries: Get a handle on the situation early in order to stop more severe problems from developing. Increased pain or tenderness: some of this is inevitable, but be on the lookout for new or worsening symptoms. Unusual swelling: this is a key indicator that something isn’t right. Muscle weakness: this can be a sign that something is seriously wrong. Talk to your sports medicine doctor or trainer immediately. A drop in performance: your body is trying to tell you something. It’s up to you to listen. Talk with your trainer and your sports medicine doctor if necessary. If you’ve noticed any of the symptoms above, don’t wait to get professional help. Schedule an appointment with your podiatrist for a lower extremity injury. Early treatment is the best way to avoid long term problems. Warm up slowly and gradually. Spend more time warming up. Add more easy days between your intense workouts. Remember, you can pick up the intensity once your injury is resolved. There are other ways to have very intense workouts. Supplement your running with activities such as elliptical training, spinning, and swimming. Many veteran runners do this as a matter of course. Be smart. If healing isn’t complete you may want to run in another event in the near future. Pushing yourself into an event you’re not ready for can cause potential long term problems.